If you're looking for an efficient, safe, and impressively tech-happy SUV, you really can't go wrong with either the 2017 Nissan Rogue or the 2017 Toyota Rav 4. But if you have to choose, which model offers the most value for your money? 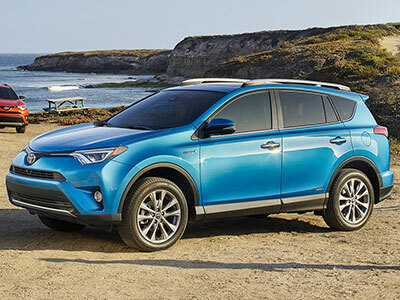 In terms of efficiency, the RAV4 offers some solid fuel efficiency (29 mpg highway and 23 in the city) with cruise control and an ECO mode as well. It's also classified as an Ultra Low Emissions Vehicle, which means that it's 50% cleaner than other average vehicles that year. A fun Sport mode gives you other performance options as you're adventuring. But the Rogue has just a little extra umph. Efficient, with a smart and sporty design, the Rogue outpaces the RAV4 with 32 mpg highway and 26 mpg city, with an ECO mode and cruise control that helps you make the most of that fuel efficiency. It's design is sleek, with the options you would expect from an SUV in its class: halogen headlights and LED daytime running lights, rear spoiler, 17-inch steel wheels, power side mirrors, with a few extras like solar glass. Combine the two and you have a serious SUV contender. The RAV4 doesn't skimp on driver convenience. An adjustable seat with lumbar support, a noise-reducing windshield, and two 12-volt plugs for devices makes for a more comfortable ride, and privacy glass throughout the back of the vehicle improves the experience for passengers. The roof rails add additional storage options, which is a thoughtful addition as well. The Nissan Rogue, though, has the RAV4 topped. It's got the adjustable drivers seat and three 12-volt plugs, as well as the UV reducing solar glass for passengers and cargo. But your passengers will love the inventive EZ-Flex seating system, with the sliding/reclining bench seat with pass through option-it makes climbing into a backseat infinitely better, especially if you opt for the Rogue's optional third-row seating. The Divide and Hide Storage is equally thoughtful, turning half of the open cargo area, when needed, into an area shielded from view and perfect for stashing valuables when on the go. In comfort and convenience, the Rogue wins. 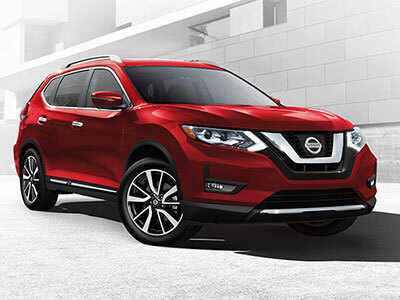 The Nissan Rogue has an impressive array of safety features, from traction control to an advanced airbag system, as well as some features that have become standard for the industry (daytime running lights and rearview monitors). But it's the Rogue's safety design that sets it apart, with Zone Body construction that reinforces the passenger compartment and creates crumple zones to absorb impact. You can feel secure in the combination of safety features in the Nissan Rogue. The Toyota RAV4 also matches the standard set of safety features (daytime running lights, back up camera) and adds to it a a package called Toyota Smart Sense, which includes a system that detects a crash before it happens and any pedestrians in your path, alerts you when you veer out of your lane, and automatically adjusts headlights to high beams when necessary. Toyota also tacks on their Star Safety system (vehicle stability, traction control, brake assist and smart stop technology) and whiplash injury lessening seats. The RAV4 is impressive in terms of technology and entertainment options. Their Entune audio system has a 6-inch touchscreen and 6 speakers, as well as Bluetooth and hands-free phone options. Add in the entire Toyota Safety Sense system and you have some pretty impressive technology. But we like the details of the Nissan Rogue's infotainment system. The Rogue offers what is pretty standard for an SUV of this size and trim level, with 4 speakers and a 5-inch touch screen display and Bluetooth connectivity. But they've also added a three-month SiriusXM free trial and a hands-free messaging assistant that are very nice perks, along with an Advanced Drive-Assist Display for drivers that, depending on the trim level, can do anything from show you your map to display your tire pressure and your text messages. The Rogue is definitely a tech-happy vehicle, which fits the modern driver. Though the Toyota RAV4 is a really nice option for an SUV in this price range, the Nissan Rogue outpaces it in several key ways. We think it offers the total SUV package for a budget-friendly price.